When we think of huge technological advances, we don’t usually think of trailer flooring. We think of smartphones, space shuttles, and the Internet, right? 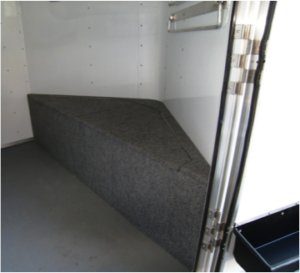 But there have been some significant innovations in the world of horse trailer construction, too—and one of the biggest ones that you should know about is Rumber trailer flooring. What Is Rumber Trailer Flooring? 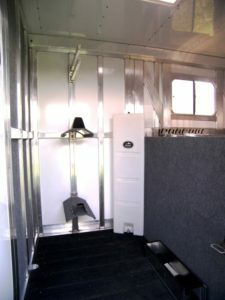 Rumber floorboards first appeared in horse trailers in 1992. Made with 100% recycled tires, they were designed as a replacement for cumbersome aluminum and wood floors covered with rubber matting. The 1 ½” x 7” tongue-and-groove boards are installed running front-to-back in a trailer. They’re supported underneath with floor supports, running side-to-side, approximately 10 to 15 inches apart. All new Blue Ridge Trailers horse and livestock trailers come with Rumber flooring and a 20-year warranty on the flooring. 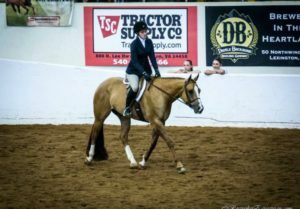 So Why Put Rumber Floors in Your Horse Trailer? The floorboard and support design that we just described actually has a big impact on your horse’s health. In between the floor support, Rumber boards will “flex,” thus reducing physiologic stress on horses’ joints and soft tissue. 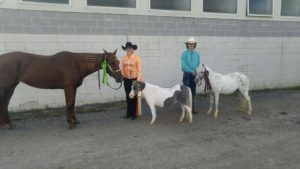 Horses experience less muscle fatigue associated with transportation than in a trailer with an aluminum or a wood floor. The wall-to-wall Rumber flooring is impervious to UV rays, mud, and water—and it even repels fuels including diesel and gasoline. That means you won’t have to worry about rotting or other damage that will hurt your trailer’s resale value. You’ll have good-as-new floors for years. It’s also more cost-effective in general, since you won’t need to replace floor mats or the flooring itself. No floor mats to move! Periodically, take the bedding off the floor and hose it down. Read on for more details about this. Just bed the area where your horses stand like a stall, so that the sawdust or shavings will soak up any urine and will keep urine from splashing up on the horses’ legs. When you arrive home, take the manure and any wet shavings out. Add more bedding if necessary. About every 8 to 10 weeks, tilt the trailer jack so the rear of the trailer is lower than the front, clean all the bedding out and hit the floor with a hose (a power washer is even better). Your Rumber floor will keep its texture forever with this treatment. Contact Donna and the Blue Ridge Trailers team online or at (434) 985-4151 for more questions about Rumber trailer flooring or horse trailers in general. Some people look at a trailer, and that’s all they see. But when I look at a trailer, I see a significant part of someone’s life. Maybe it’s a horse trailer for traveling with your four-legged family. Maybe it’s a utility trailer that’s a crucial part of your business. Maybe it was an investment that took months of hard work and strategic saving. So I understand why you’d want to do everything you can to protect your trailer, especially during dangerous winter road conditions. 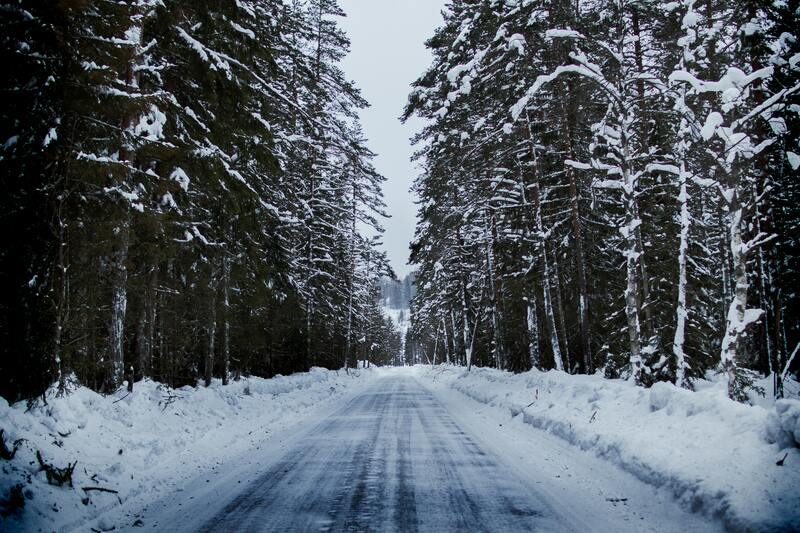 As the snow begins to fall, you may be wondering: do I need trailer winter tires to haul safely this season? Well, don’t reach for your wallet just yet. With decades of winter hauling experience behind us, the team at Blue Ridge Trailers doesn’t see any reason to shell out for trailer winter tires. It all has to do with the job your trailer tires are performing compared to your tow vehicle tires. The “driving” tires are on your tow vehicle. They’re the ones steering your vehicle (and therefore, also your trailer). So the aggressive tread and flexibility of winter or snow tires absolutely makes sense for your truck. By contrast, the trailer tires are just following behind. They don’t need a deeper tread to do their job. When it comes to control, brakes are more important than winter or snow tires for your trailer. Having brakes on both the front and rear axles of your trailer will prevent it from fishtailing when stopping. You can add brakes to the rear axle if they’re not already on your horse trailer, RV, utility trailer, or dump trailer. However, most likely your trailer came out of the factory like this. Particularly with horse trailers, I haven’t seen one without a built-in rear axle brake in the last two decades. First things first: don’t drive in snowy or icy conditions if it’s not an emergency. It may seem obvious, but an honest assessment of road conditions and your travel needs is one of the smartest safety steps you can take. Know how old your tires are. Trailer tires tend to last five years at maximum. Be sure to look at the tires’ date code if you don’t already know it, and follow this guide to know when it’s time to replace your tires. When parked, protect your tires by keeping them away from moisture as much as possible. That means parking on asphalt, concrete, or gravel. If you must park on grass, put a plywood plank down first. Does your trailer cover reach all the way down to your tires? This is another important way to prevent moisture damage (as well as heat damage during the summer). Here’s our guide to finding a trailer cover that fits correctly. Got more questions about your trailer, your tires, or safe hauling in general? Call Blue Ridge Trailers at (434) 985-4151 or contact us online. 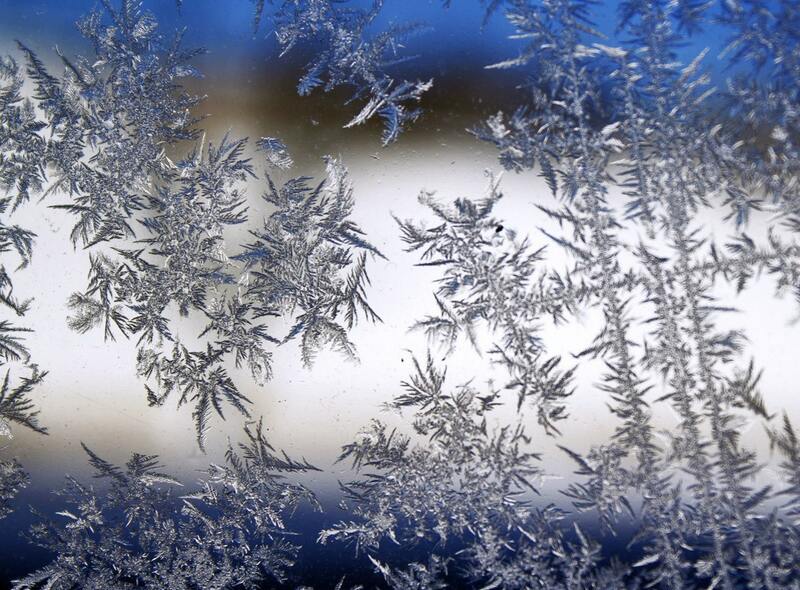 Winterize a trailer now to prevent ice damage and other issues you’ll regret next season! 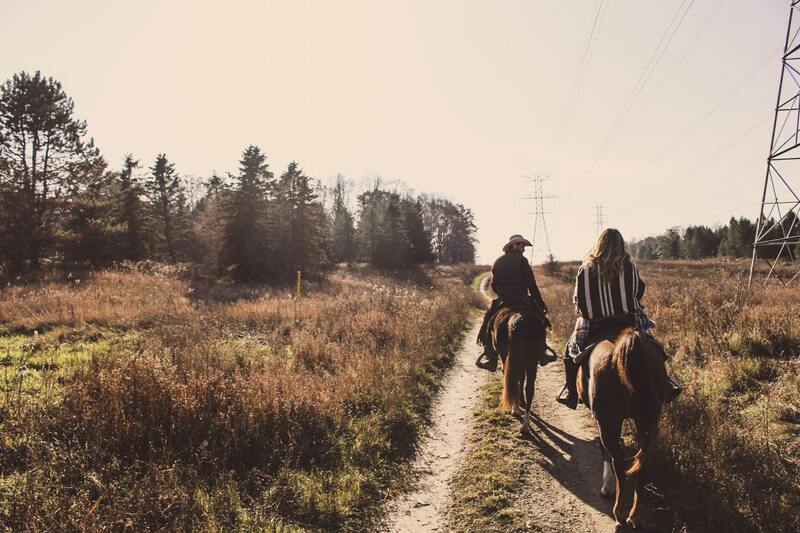 Whether you spend the warmer months camping, attending horse shows, or both, it can feel like every winter arrives sooner than the last. Before you know it, the leaves are falling, temperatures are dropping, and it’s time to pack up the trailer for the season. If you want to jump back in your trailer with no hassle next spring, you’ll need to winterize it properly now. Below, we’ll show you how to winterize a trailer in five practical steps, so you can prevent damage from ice, store your trailer safely, and rest easy all season. For personalized answers to your seasonal trailer questions, Blue Ridge Trailers is always happy to share our expertise. Contact us online or call us at (434) 985-4151 to speak to our staff. Ice is the enemy when you need to winterize a travel trailer, horse trailer or other type of trailer. As water freezes, it expands and can blow open your tanks, pumps, and the lines that connect them. To winterize a RV trailer, winterize a travel trailer, or any other trailer with living quarters, a professional can run antifreeze through the water pipes to protect them from cold temperatures. Got more questions about how to winterize a trailer or other trailer care issues? Contact Blue Ridge Trailers online or at (434) 985-4151. What makes a great horse trailer even better? Even just a handful of strategically chosen horse trailer accessories can help make the trailer a comfortable and personalized space for both you and your horses. But we know there’s a lot to choose from. 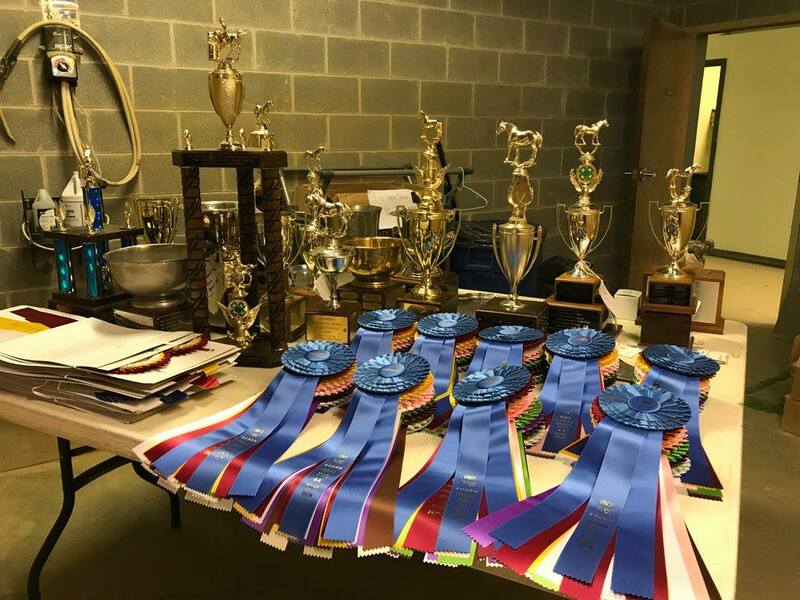 With decades of experience using and selling horse trailer accessories, the Blue Ridge Trailers team has collected five items that we absolutely can’t live without. We’ll also point you to some “honorable mention” accessories that can make your life even easier on the road. An auxiliary battery can make the difference between an inconvenience and a seriously dangerous situation. It’s happened for me. I was once stuck under a tunnel with my horse trailer for 2.5 hours due to an accident ahead of us. As you can imagine, it was incredibly hot and uncomfortable. My auxiliary battery allowed me to run fans and pump water (more on those below) without draining my tow vehicle battery. 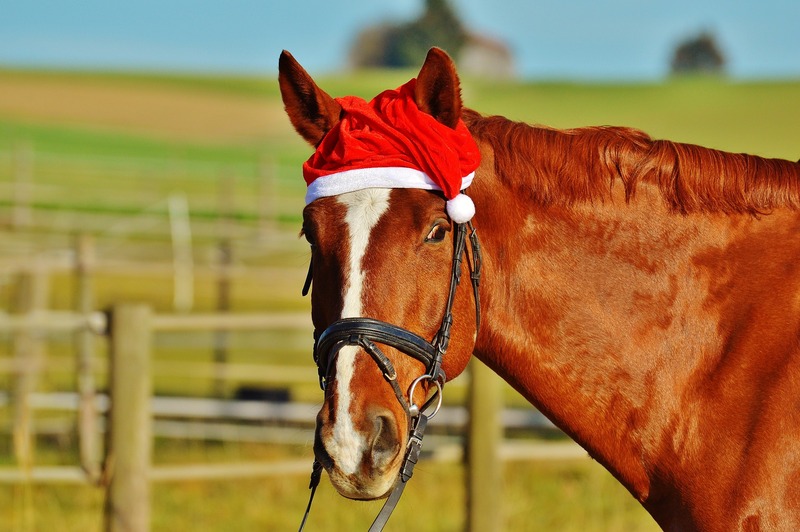 This kept my horses cool and hydrated–and kept me from panicking about their safety. A water tank allows you to carry your home supply of water on long trips. That means you won’t need to accustom horses to drinking an unfamiliar water source. You can also wash off hot horses due to exertion or stress (be sure to carry extra buckets and a sponge). Blue Ridge Trailers offers a variety of water tanks from 18 to 40 gallons and designed for a range of trailer shapes. 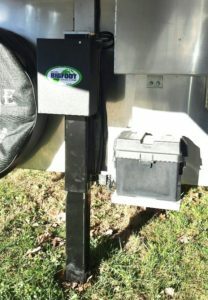 You can add a 12-volt pump to most water tanks, making for more efficient use of the available water (here’s where that auxiliary battery comes in handy!). 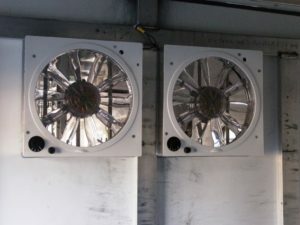 Trailer fans are a simple, affordable solution to promote airflow in your trailer. 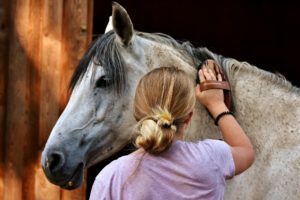 Horses generally become hot in a trailer in most temperatures—in fact, it’s relatively difficult to make a horse cold in a trailer unless he/she is wet and there’s a cold air draft. It’s dangerous to a horse’s health not to have adequate ventilation and cool temperatures inside a trailer. Trailer fans, when appropriately placed, can provide the ventilation and cooling often needed. For the best results, mount fans at the front of the horse area, facing to the rear and open all the windows. The fans will create a vacuum sending air from the front of the trailer, over the horses, to the rear, even when standing still. If you have a long trailer for multiple horses, mount additional fans, also facing to the rear, mid-way in the horse area. Once you start driving with a live view of your horses inside the trailer, you’ll never want to go back. 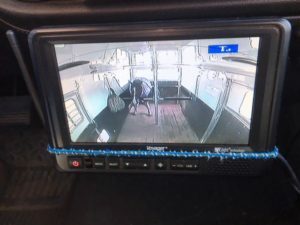 A camera system lets you keep an eye on your horses even while in route. The camera monitor typically mounts on your tow vehicle’s dashboard or windshield. 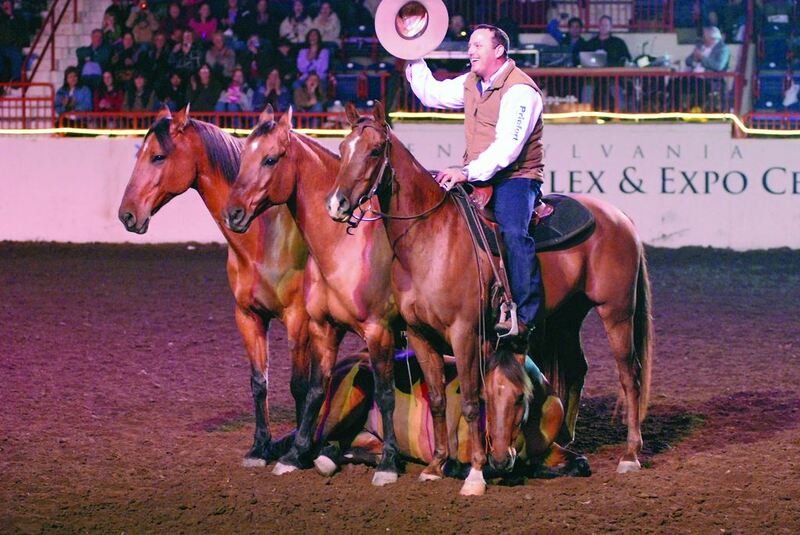 The camera is mounted in the horse area and is powered by the trailer running lights. Blue Ridge Trailers recommends staying away from shoddy “bargain” camera systems that’ll cost more in the long run. After decades of experience with a wide range of camera brands, today we only install proven, high quality camera systems, that last for the long-term. Unlike a regular trailer jack, a Jiffy Jack allows you to fix a blown tire safely while your horses are still inside the trailer. It’s a sturdy tool with a unique design. 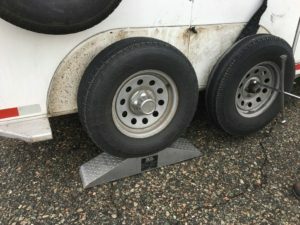 You can just drive the good tire over the Jiffy Jack, which keeps the bad tire off the ground. Big secret: loosen the lug nuts on the bad tire before driving up on the jiffy jack. 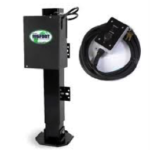 Blue Ridge Trailers sells Jiffy Jack lifts in steel and plastic. Ready to give your horse trailer an upgrade? Check out Blue Ridge Trailers’ full inventory of horse trailer accessories here. Exercise. Parenting. Paying the bills. There are certain things in life you just gotta do yourself. Fortunately, selling a used trailer doesn’t have to be one of them. With consignment trailer sales, you can get a great price for your used trailer by letting an expert handle the hard work of selling it. Blue Ridge Trailers has two decades of experience finding fair deals and happy buyers for used trailers. If you’re thinking about selling a used trailer on consignment, here’s our guidance on how to do it right. When you sell your trailer on consignment, you let someone else take care of finding a buyer and pay them a commission of the sale. Typically your seller will be a trailer dealer who has the experience and resources to find a buyer quickly and at a good price. As hinted above, the main benefit of a trailer consignment sale is that an expert takes the hard work off your hands. Your seller markets the trailer, negotiates with potential buyers, and manages the paperwork–you sit back, relax, and wait for the check. Consignment sales are typically much faster than selling on your own, since many more potential buyers will see your trailer–whether it’s on the dealer’s lot, website, catalogue listings, etc. You can also rely on the dealer’s expertise when it comes to fair trailer prices. No need to worry about pricing the trailer too high or letting it go for too little. 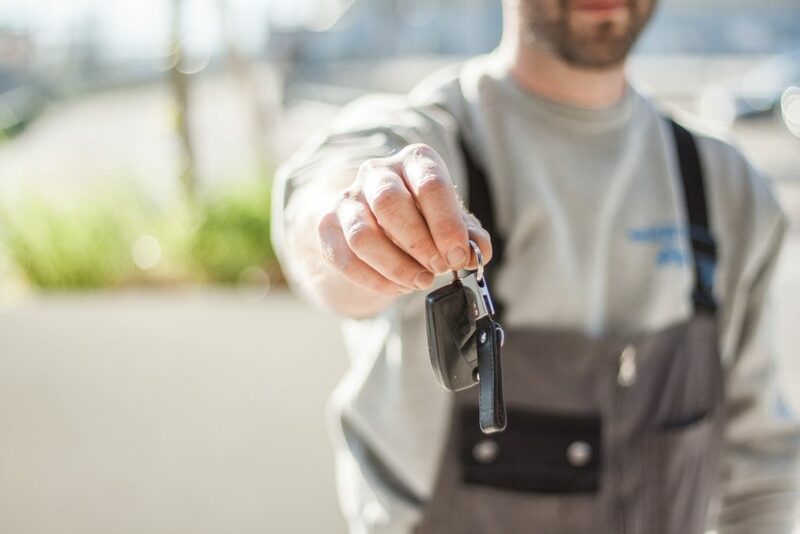 Experienced dealers like Blue Ridge Trailers also have the means to provide financing for the buyer, so you don’t need to wait around for someone who happens to have cash-in-hand. What’s a Good Trailer Consignment Deal Look Like? Commission fees for consignment trailer sales are usually a percentage of the sale or a flat rate. For example, Blue Ridge Trailers charges 10% of the selling price. This is on the low end of typical commission rates, which span roughly 10% to 15%. For ultimate peace of mind, look for a seller who can handle detailing and shop inspection of your trailer before marketing it. A dealer with a qualified trailer service team will ensure that it’s in its best shape to attract buyers. Blue Ridge Trailers includes our one-year warranty on all consignment trailers as well, which not only gets trailers off the lot faster, but also means that we take care of any issues if the buyer returns after purchasing. Consider the consignment contract length as well. You don’t want your trailer sitting on the lot for months on end. As a point of reference, Blue Ridge Trailers writes consignment contracts for three months. The trailer owner can end the agreement at any point with no charge, other than for trailer cleaning or inspection if it’s already taken place. Be sure to work with a seller who can offer maximum exposure for your trailer, both on their lot and online, whether through their website, online inventories, social media, etc. This will translate to a faster, better deal. Should You Keep Your Trailer Insurance? Remember that accidents can strike anywhere. If you terminate your trailer insurance before it’s sold, your seller’s insurance likely won’t extend to you for certain types of damage such as flooding, fallen branches, etc. Different trailer dealers will have different policies regarding consignment insurance. The most responsible ones will require you to keep some form of insurance in place, so that you’re protected in all circumstances. Here at Blue Ridge Trailers we require trailer owners to maintain their comprehensive and collision coverage, since our insurance won’t extend to them for weather-related damage. Selling a used trailer? Take advantage of Blue Ridge Trailers’ marketing expertise, wide network of buyers, and attractive financing and warranty options. Contact us online or at (434) 985-4151.